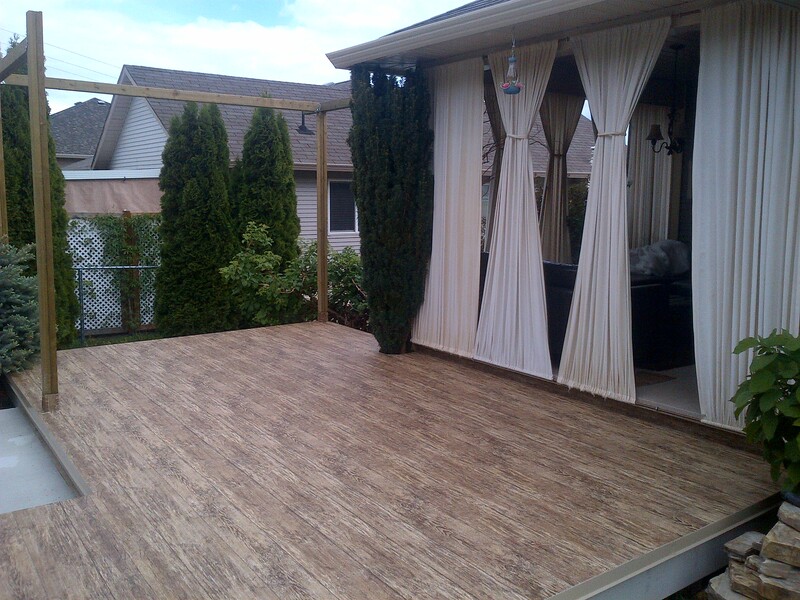 Before installing a vinyl deck, consider how your patio is going to appear in relation to your home. Generally speaking, patios and decks are a focal point for your yard or garden – so you want to draw attention to the nicest part of your yard space, if possible. If not, you might want to plan for some landscaping after the project is completed. Next, consider the elements your deck will be exposed to; such as sun, wind, snow, rain, etc. Many deck and patio surfaces take a regular beating from heat, cold, and wind, which over time will cause wear – which in turn can mean regular maintenance. Of course, installing the best outdoor decking material, Tufdek Vinyl Decking, your deck will hold up in all types of weather, but you also might want to consider adding some protection from the elements so you can get more enjoyment from your deck. There are many projects that are easy to do yourself, building a deck probably isn’t one of them. There are many factors that go into patio and deck building, to make them safe, long-lasting, and in line with local building codes. 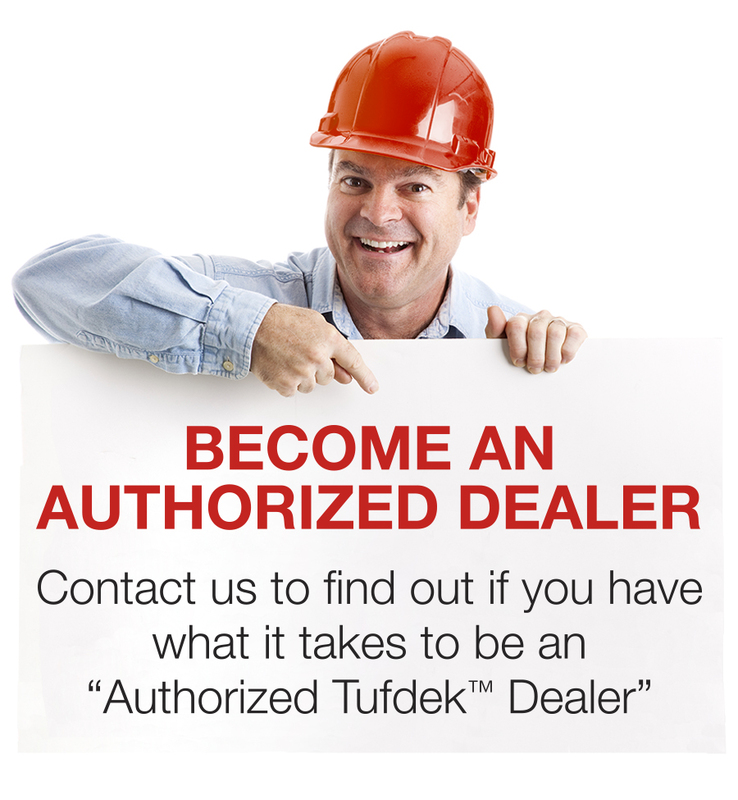 Hiring a professional contractor to build your patio and install the best outdoor decking material, Tufdek Vinyl Decking, will often cost less than your think since contractors have access to discounts with building suppliers. There’s nothing worse than a bare deck, so you’ll want to include in your budget some funds for patio furniture, a new barbecue, and some ceramic pots for plants. These touches will help your new vinyl decking space feel like home. Installing solar lighting or strings of lights and lanterns can also help you enjoy your deck more once the weather warms. The best place to start planning is Houzz, where you can view projects and take a look at what contractors have to offer. 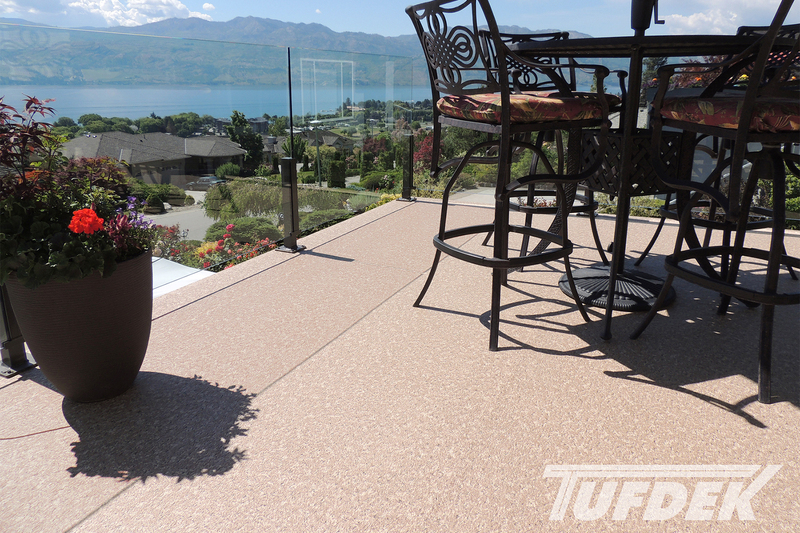 Tufdek has its own profile on Houzz, so you can view some of our finished vinyl decks and decide what style is right for you, as well as visualizing the types of vinyl patio decking that will work best with your home. Looking outside, it seems like there are eons to go before spring arrives. However, by the time you choose your style of deck and vinyl decking, interview and select a contractor, and apply for a building permit (if required) it will be an ideal time to build a patio. Start now so you can get the most out of your vinyl patio this year.